This program is geared towards those who have the skills to follow a leader, belay, rappel, and tie specific knots. Candidates should have prior climbing experience and basic knowledge of the sport. We will spend the day climbing an appropriate route on a cliff that suites our goals and needs. 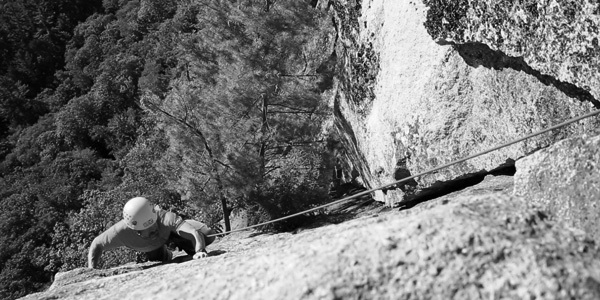 We can top-rope harder routes, or climb a multi-pitch route on Cathedral Ledge or Whitehorse Ledge. 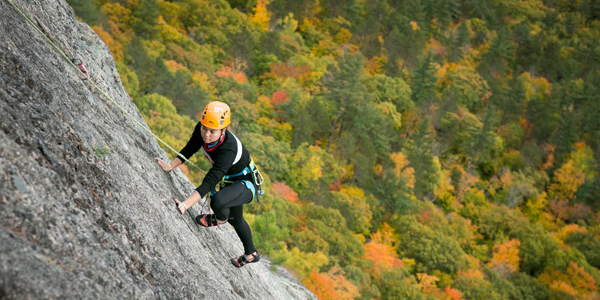 Whether you are new to outdoor climbing or want to step up your game, this program is for you. Participants should be in reasonable physical condition with prior rock climbing experience. After mastering the basics on top-rope, we put them to use on a multi-pitch climb day two. Climbs are beginner level and vary from several pitches of rock to alpine climbing with hiking and rock climbing mixed.